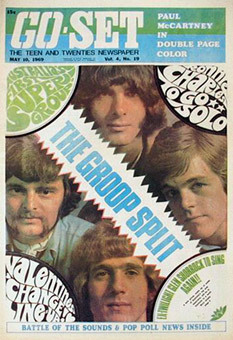 Song of the day: The Groop – "Woman You’re Breaking Me"
Song of the day: The Groop – "Such A Lovely Way"
There are plenty of reasons why I like “Such A Lovely Way” – it has pre-LRB Glenn Shorrock* and pre-solo career Brian Cadd, two Australian vocalists I like a lot, singing dual lead vocals; it swings, baby, as only a 1968 recording can (in other words, it’s so 1968) – but the main one is that it’s the only Australian song from the 60’s that I can think of where the bass guitar is playing lead at the song’s start before those pesky singers get in the way. Any song that has the bass playing lead is alright by me. You are currently browsing the archives for the Groop category.